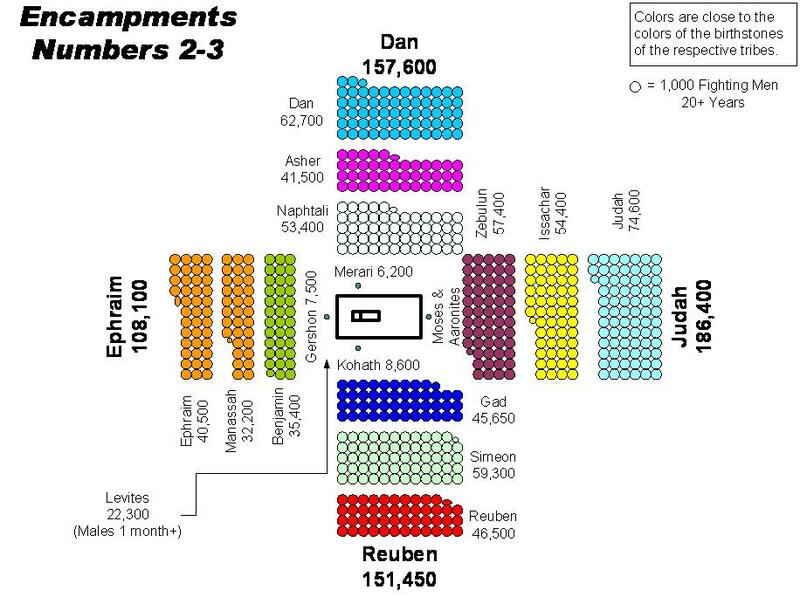 Reuben was the firstborn son of Jacob. If you remember the story between Jacob, Leah, and Rachel, you remember that Laban tricked Jacob into marrying Leah first when Jacob wanted to marry Rachel. To receive Rachel, Jacob had to work for Laban for another seven years when he had already worked for Laban for seven years. A total of fourteen years Jacob worked for Laban and was given Leah then Rachel. The Bible text tells us that Jacob loved Rachel more that Leah. The Hebrew meaning of Reuben is ‘behold, a son’. Reuben is made of two Hebrew words; raah and ben. The word raah means ‘to see, look at, inspect, perceive, or consider’; in another word, ‘behold’. The word ben means ‘son, grandson, child, or member of a group’. Here it takes on the meaning of ‘son’. Reuben was the firstborn but he did not receive the blessing/inheritance as the firstborn son did in those days. He transgressed against his father thus his inheritance was passed on to another. Genesis 35:21-22 – Then Israel journeyed and pitched his tent beyond the tower of Eder. 22 And it happened, when Israel dwelt in that land, that Reuben went and lay with Bilhah his father’s concubine; and Israel heard about it. Genesis 49:3-4 – “Reuben, you are my firstborn, My might and the beginning of my strength, The excellency of dignity and the excellency of power. 4 Unstable as water, you shall not excel, Because you went up to your father’s bed; Then you defiled it—He went up to my couch. There are a few, just like Reuben, where the firstborn birthright was given to another due to something they did that went against (for the purposes of this writing) the original plan. Jacob himself received the firstborn birthright and blessing over his brother Esau due to deceit (Genesis 25:29-34; Genesis 27:1-40). However, the main one I am thinking of is Adam. Romans 5:18-21 – Therefore, as through one man’s offense judgment came to all men, resulting in condemnation, even so through one Man’s righteous act the free gift came to all men, resulting in justification of life. 19 For as by one man’s disobedience many were made sinners, so also by one Man’s obedience many will be made righteous. 20 Moreover the law entered that the offense might abound. But where sin abounded, grace abounded much more, 21 so that as sin reigned in death, even so grace might reign through righteousness to eternal life through Jesus Christ our Lord. 1 Corinthians 15:45 – And so it is written, “The first man Adam became a living being.” The last Adam became a life-giving spirit. What do the above passages have to do with Reuben? This: ‘look at the Son’ or ‘behold the Son’. Jesus is the firstborn in many retrospects as is Adam. Adam (and Eve) transgressed against their Father (our Father). Jesus came in the flesh as “the only begotten (born of a woman and Holy Spirit through conception) Son” of God the Father. Jesus existed in the beginning because everything was made through Him; The Word (John 1:1-3). Colossians 1:15-18 – He is the image of the invisible God, the firstborn over all creation. 16 For by Him all things were created that are in heaven and that are on earth, visible and invisible, whether thrones or dominions or principalities or powers. All things were created through Him and for Him. 17 And He is before all things, and in Him all things consist. 18 And He is the head of the body, the church, who is the beginning, the firstborn from the dead, that in all things He may have the preeminence. Temptation befell Reuben to the point that his birthright was removed from him. Temptation befell Adam and Eve to the point that death and sin entered into man and they were stripped of their “birthright” (authority over the earth). Jesus was tempted but did not surcome to it to the point that He regained the original authority in the world and by Him we have our original inheritance. Jesus is the firstborn in a multitude of ways. He regained the authority that was originally Adam’s. We gain our Heavenly birthright through Jesus Christ. Just as Moses spoke over Reuben that Reuben may live and not die, we are able to have eternal life through Jesus Christ. In order to have this and maintain this “birthright” given through Jesus we must ‘behold, look at, and perceive The Son’.